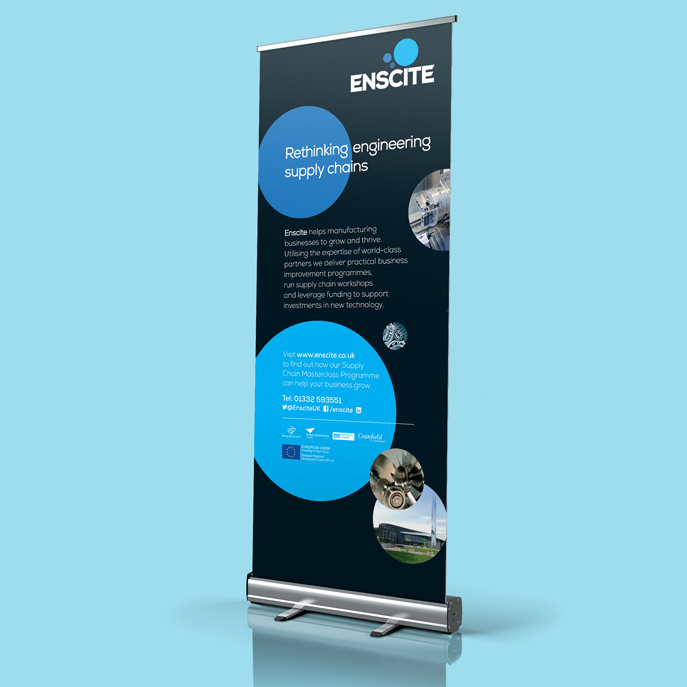 In late 2013 we won a competitive tender to create the brand for ‘Engineering Supply Chain Solutions’ – a collaboration between Aston University, Cranfield University, Derby City Council and the University of Derby. 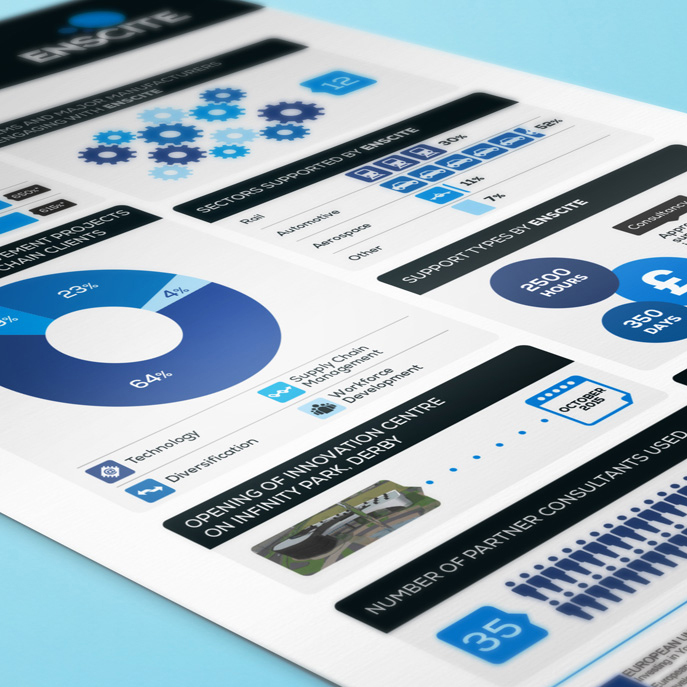 With funding from the ERDF, the organisation was tasked with supporting SMEs in the aerospace, automotive and rail sector supply chains, through business improvement programmes, supply chain workshops and access to a technology fund. 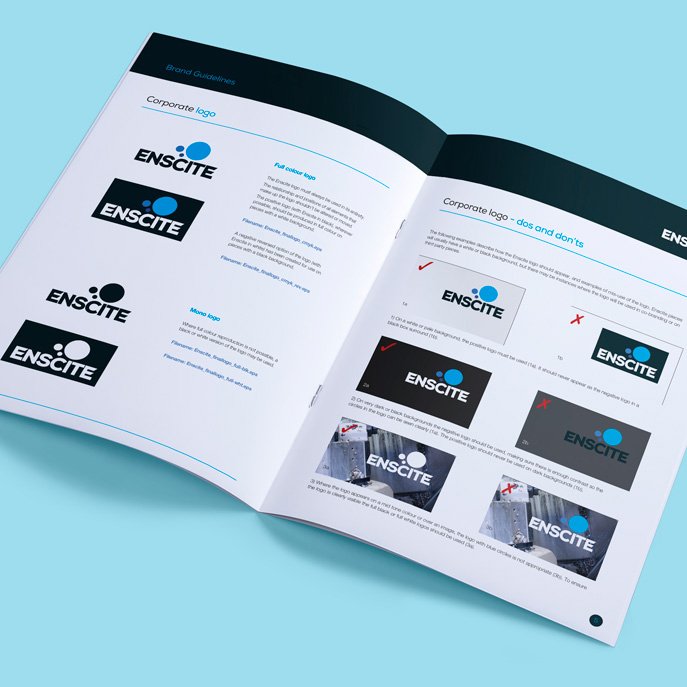 We had less than three months to create a brand and launch the initiative. 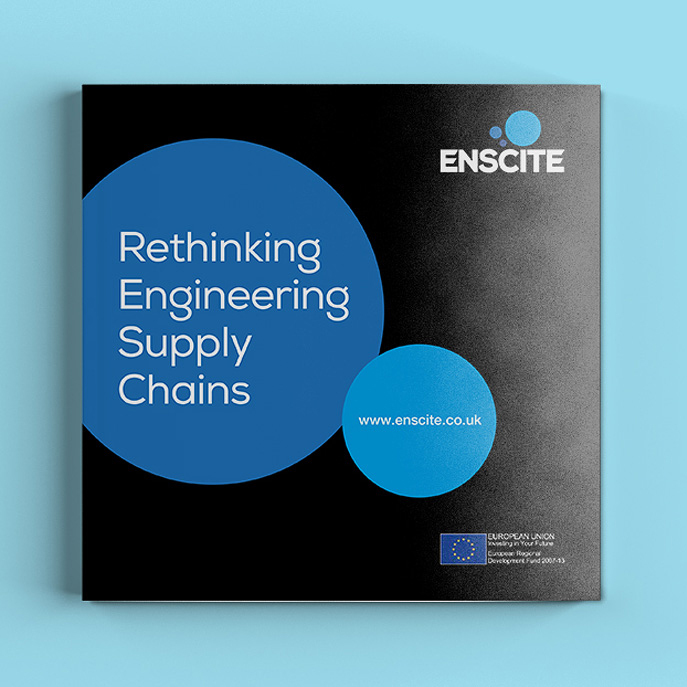 We realised the name ‘Engineering Supply Chain Solutions’ was a problem: it was long, unmemorable and easy to get wrong. 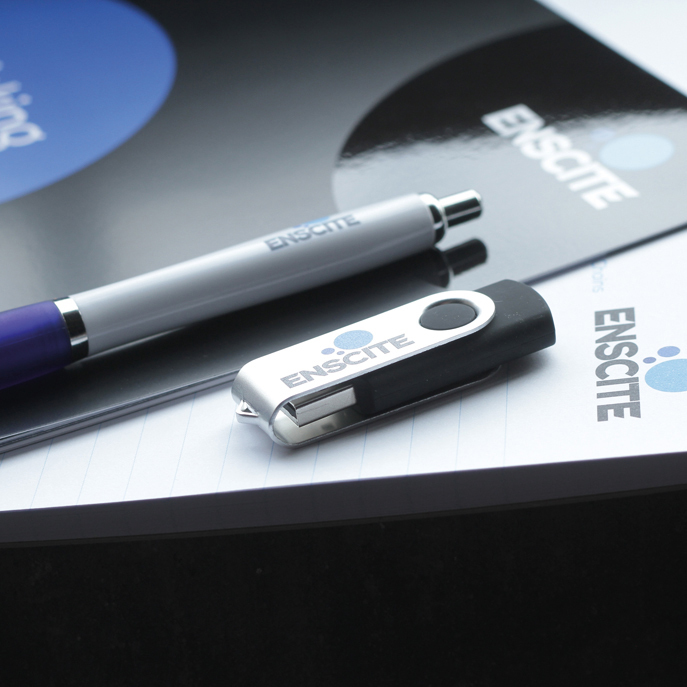 So we renamed it – Enscite. 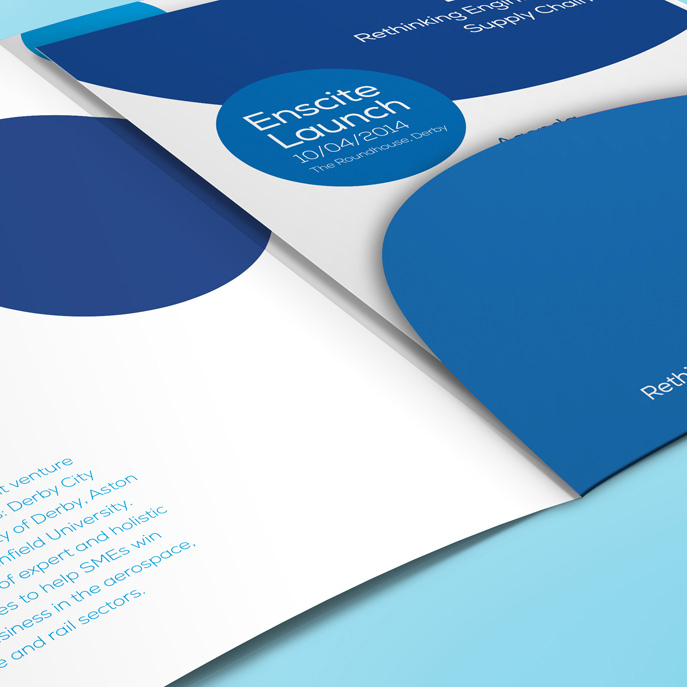 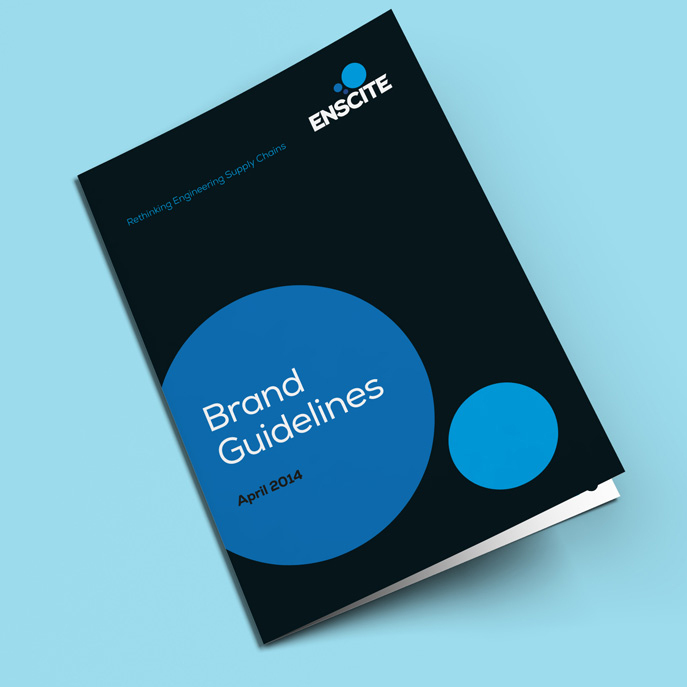 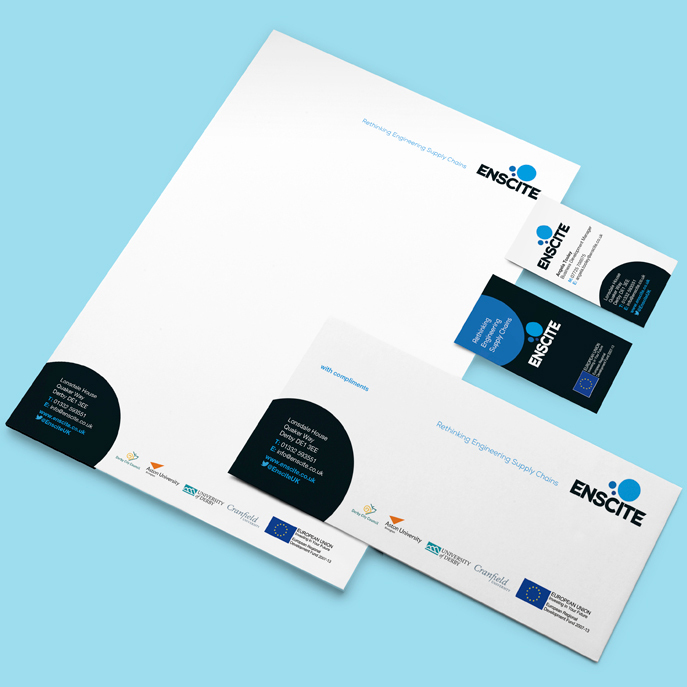 We brought Enscite to life with a strong and powerful brand that launched in style on 10 April 2014 in front of 190 guests at The Roundhouse in Derby. 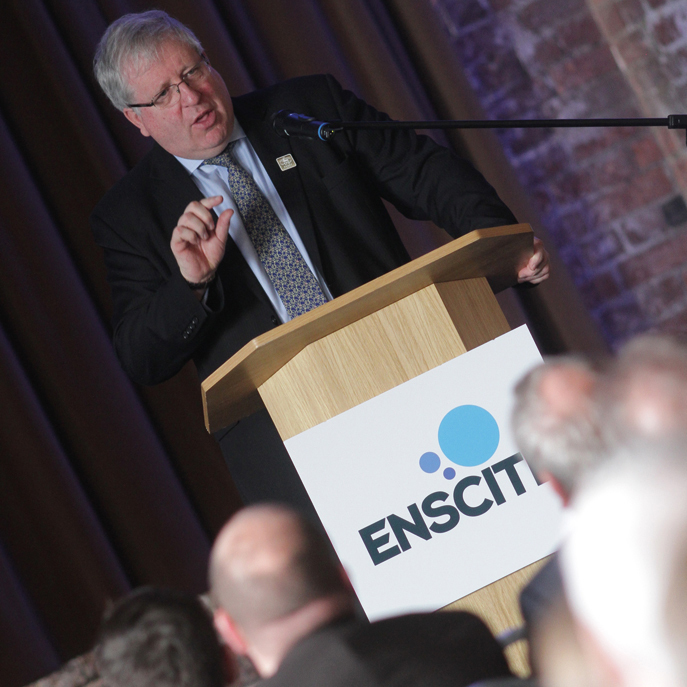 There was a stellar cast of speakers including the then Secretary of State for Transport, The Rt Hon Patrick McLoughlin MP.